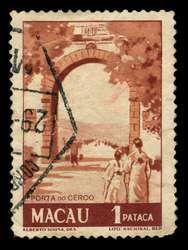 Scott #347A, 1950 1p dark orange brown and orange brown Pagoda of Barra. Used F-VF with light crease. 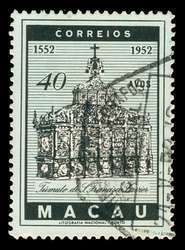 Scott #367, 1952 40a black, blue paper Statue of St. Francis Xavier. Used VF.